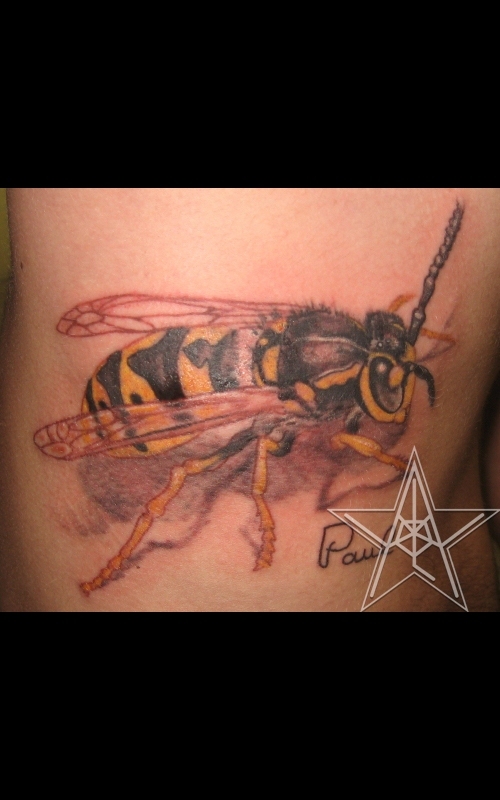 Tribute to "Buzz" Color realistic Yellow Jacket tattoo. 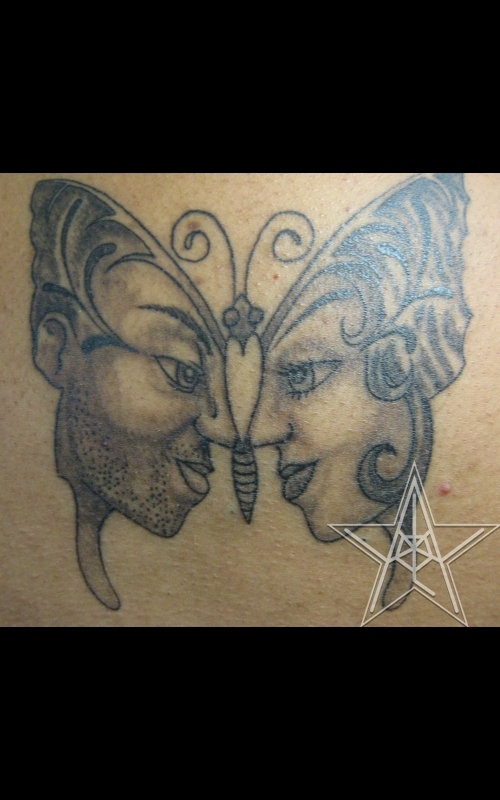 Loving Butterfly Black and Grey facial butterfly tattoo. 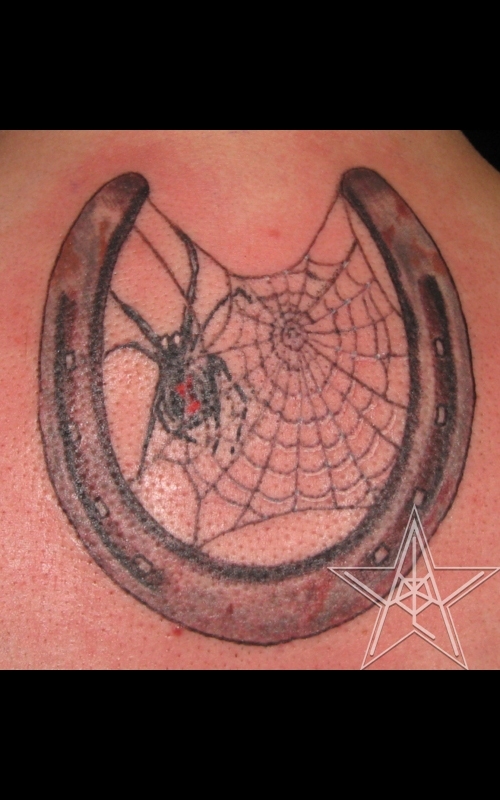 Horseshoe Widow Color Black Widow Spider in a horseshoe tattoo. Children Flies Color Butterflies with names tattoo. 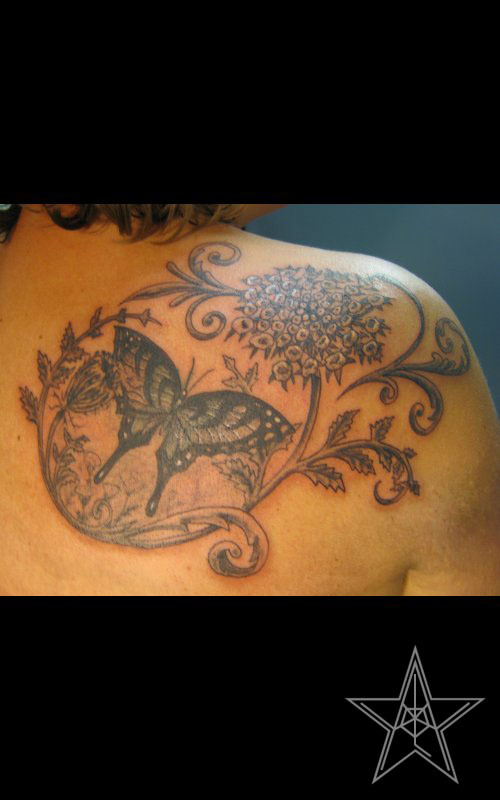 In the Fields Tattoo of a swallowtail butterfly and Queen Anne's Lace flower. Smash It! 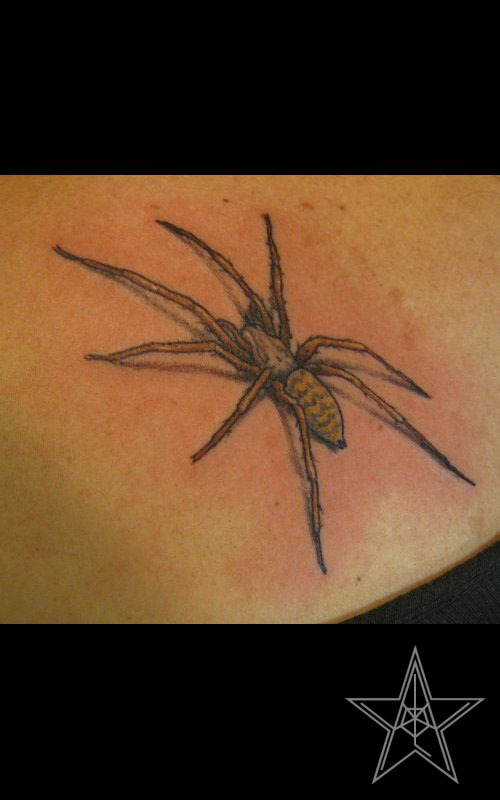 Realistic spider tattoo. 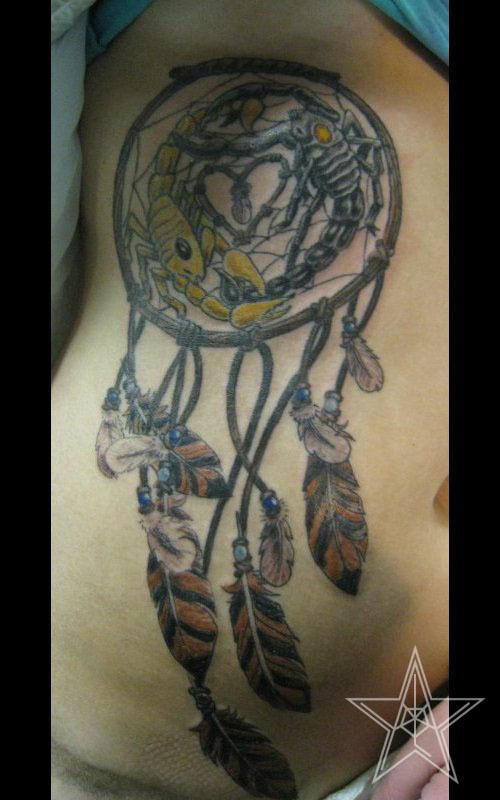 Balance of Tails Scorpion yin yang dreamcatcher tattoo. 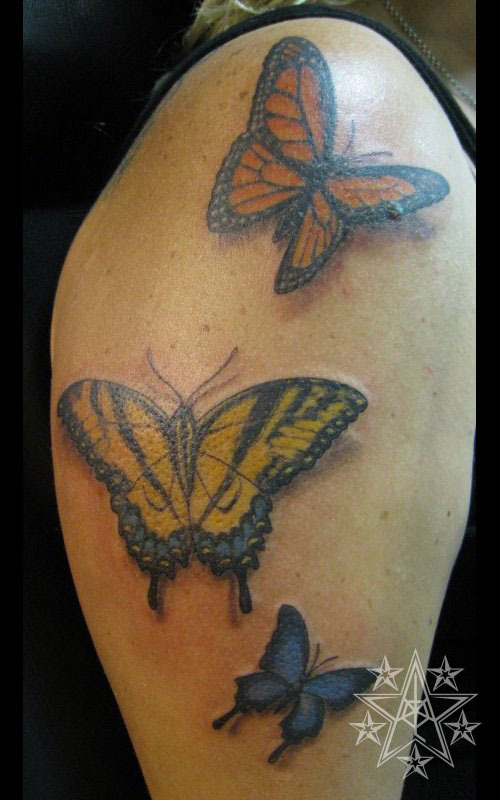 Realistic butterflies Monarch, Swallowtail, and small blue butterfly tattoo. 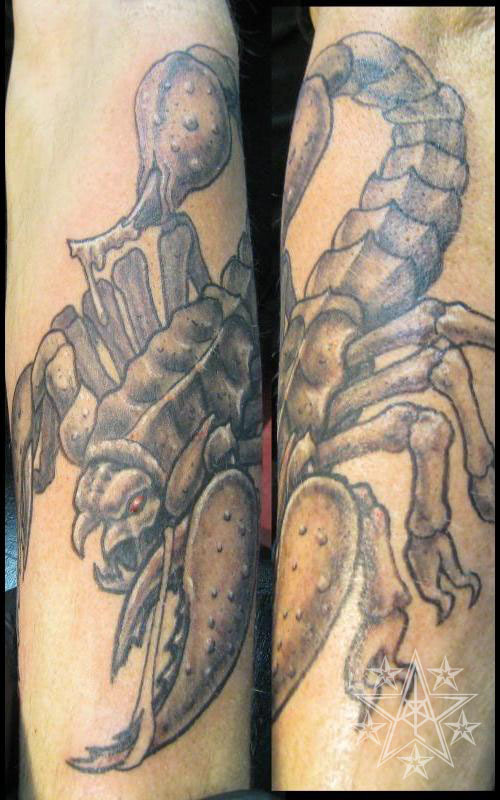 Friendly Little Guy Emperor scorpion tattoo. 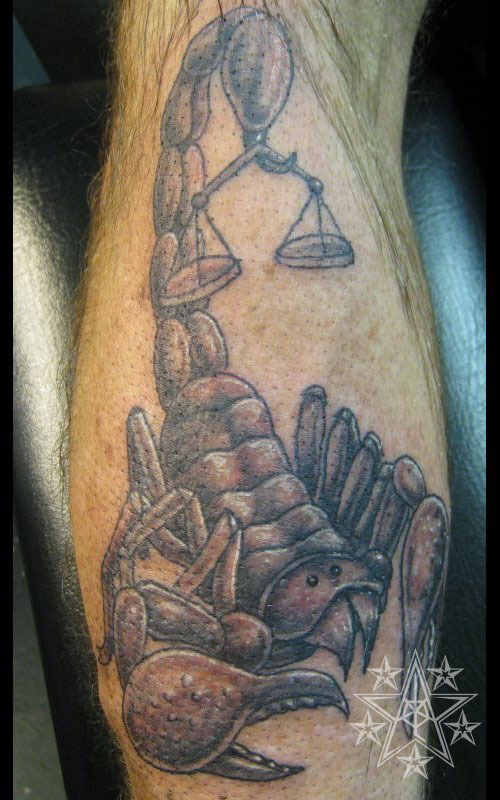 Libra Scorpio Scorpion with scales tattoo. Beasty Mean ol scorpion tattoo. 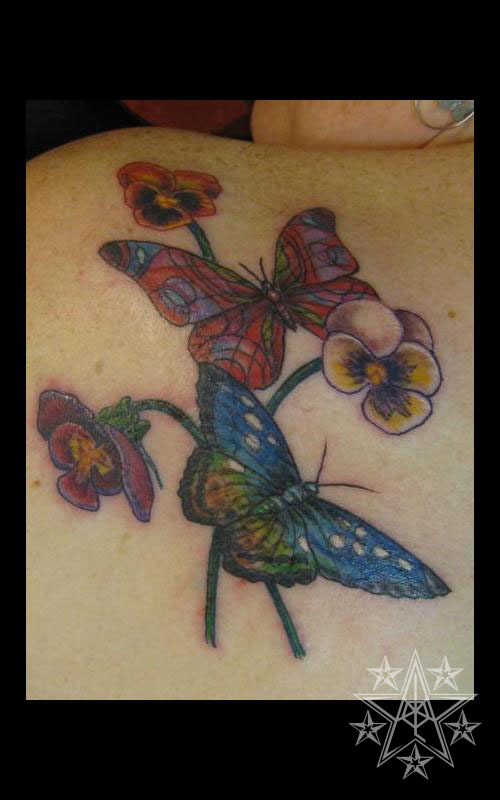 Flutterbies and Fleurs Make believe butterflies with flowers tattoo. 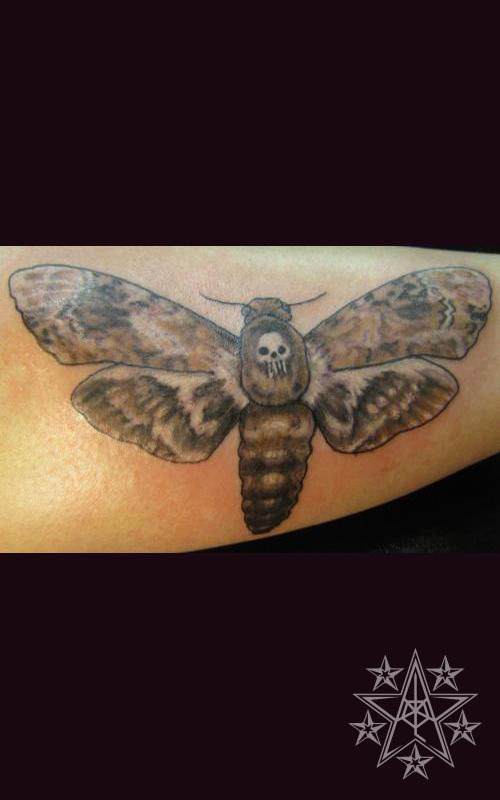 Death's Head Moth Sphinx moth tattoo. Bug and spider tattoos by Ray Reasoner Jr.
Bugs and Spiders: The insect and arachnid kingdom are vast and filled with many little creepy crawlers, as well as majestic flyers. People generally get the pretty ones to decorate themselves, remind them of a loved one, or a butterfly can also symbolize rebirth. 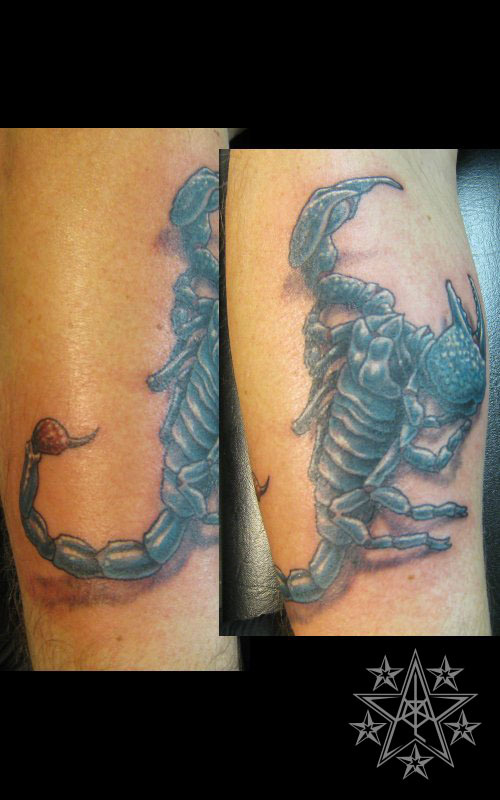 Others get the scorpions and spiders as tattoos out of a fascination with them or as a ward to others that they are not to be messed with.